Time series for the faculty? Oregon State faculty to vote to unionize? The rumor from the UO Faculty Club’s newly air-conditioned Lariviere Smoking Lounge is that UO Trustees plan to set this crew loose in Johnson Hall any day now. Goats buried in avalanche – can they survive? One by one the chamois flee – the rest stick together. And then? Union delivers the goat! But check your pay-stub for raises. The United Academics Union has authorized the university to deduct the dues and fair share on a monthly basis from the paycheck of Union members. The dues and fair share rate is 1.1 percent of the monthly salary. The deductions were included on the November 30, 2013 paycheck, and are retroactive to the ratification date (October 8, 2013) of the Collective Bargaining Agreement (CBA). 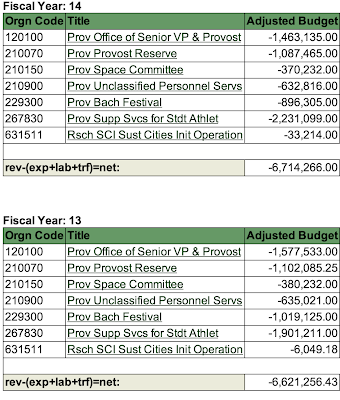 Since these are retroactive to the contract ratification date of 10/9/13 they are actually 1.92%, for this month only. This deduction is on the pay-stub at the bottom, under “United Academics”. The goat is sacred: the union is not deducting dues/FS from it or from the retroactive payments described below. 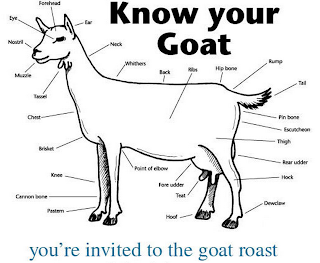 If you were on the payroll as of 10/8/2013, you should get the $350 goat money. If you were hired on or before 6/30/2012 you should get the goat, a 1.5% ATB raise (The 2013 FY ATB raise) and a catch-up payment for the 1.5%, back to 1/1/2013 in this paycheck. That catch-up payment should be a healthy 10.5% of your (old) monthly pay. In January the administration will add the 2014 1.5% ATB and your merit raise from a 2% pool (you are meritorious, right?) to your pay. These are retroactive to 7/1/2013, so there will also be another significant catch-up payment in January – on average, 15.75% of your (new) monthly pay. In July 2014 you’ll get another 1.5% ATB and be eligible for a 3.5% merit pool and a 1.5% equity pool. 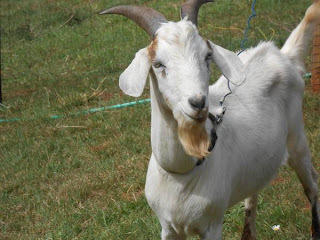 If you were hired between 7/1/2012 and 12/31/2012, you get the goat but won’t get any ATB in this paycheck. But in January you should get the 2014 ATB and your merit raises, and a catch-up payment for these, back to 7/1/2013. In July 2014 you’ll get another 1.5% ATB and be eligible for a 3.5% merit pool and a 1.5% equity pool. If you were hired after 12/31/2012 and on or before 12/31/2013, in July 2014 you’ll get another 1.5% ATB and be eligible for the 3.5% merit pool and the 1.5% equity pool. NTTF’s: All the above applies, except instead of the equity pool and raise for 7/1/2014, there will be a pool for salary floors. Details are still being worked out. Research faculty: I think discussions about how to handle raises for grant funded faculty are still under way. TRP: If you are on the TRP you will probably get the goat this month, but not the 1.5% raise or catch-up payment. The administration should have paid these, but didn’t. The union is working to fix this. Summer money and 12 month faculty: If you are on 9 months, but got summer pay, the catch-up payment will not reflect that. The union is still working this out with the administration. I don’t know what happened if you are on a 12 month appointment. As I said, this is all unofficial. The administration is still working on implementation, and I advise patience if your pay is not correct. But it’s a good idea to check your pay-stub! And remember, the union worked hard to get more money for merit and equity than the administration was willing to provide. It seems that someone had sucked the well dry. Negotiations for the July 2015 contract will start in the middle of the next rainy season, in 14 months or so. While it may seem like it would be easy to implement across-the-board and one-time bonuses, there are several steps that need to take place to ensure that this is done accurately. Initial spreadsheets must be created that individually identify every employee, their start date and FTE, whether they are eligible for the increase, and the impact of the increase on their total base pay. These spreadsheets are created centrally, then sent to schools, colleges and other participating units for review. Following that review Unclassified Personnel Services, in collaboration with Academic Affairs, conducts a final review for accuracy before the information is sent to payroll. Payroll must then enter the information into the payroll system, calculate retroactive back-pay, and process end-of-month paychecks. At this time we believe we can get the FY2013 1.5 percent across-the-board increase (retroactive to Jan 1, 2013) and the one-time bonus in paychecks at the end of November. Implementing the FY2014 merit increases presents an even more challenging timeline if we are going to meet our current goal of completing the process in time for the January 31, 2014 payroll. The University [sic] and the Union have agreed to an abbreviated merit criteria review process, pursuant to which each department and unit must provide an opportunity for faculty to review the criteria they will utilize for the FY2014 merit increase and to provide feedback, which may be solicited at a faculty meeting to which all faculty are invited. The department and other unit heads, deans, and the provost must give serious consideration to that feedback in determining the merit review process and increases. (1) The contract includes another 3.5 percent merit pool for FY15. Prior to implementing that increase, all schools, colleges and other participating units will be required to review their merit salary increase policies. (2) The pools for FY2014 and FY2015 merit raises for tenured and tenure-track faculty will be separate from the pools for non-tenure-track faculty. (3) The merit salary review process in each year will include all of the years since the last merit review prior to the ratification of the CBA. (4) Salary increases for funding-contingent positions, which are primarily grant-funded positions, present special challenges when the grants did not anticipate increased compensation expenses. The University and the Union will be exploring best strategies to address these circumstances. 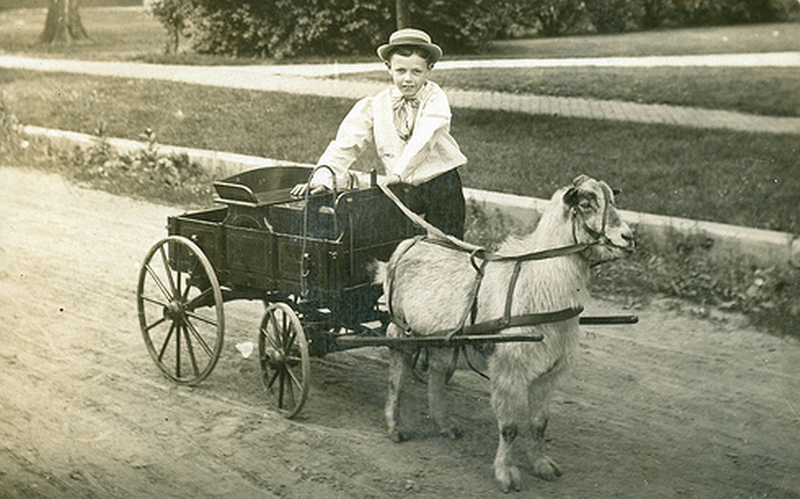 11/1/2013: The $350 Goat Bonus was missing from yesterday’s paycheck. I’m no agricultural economist, but it’s a supply problem. 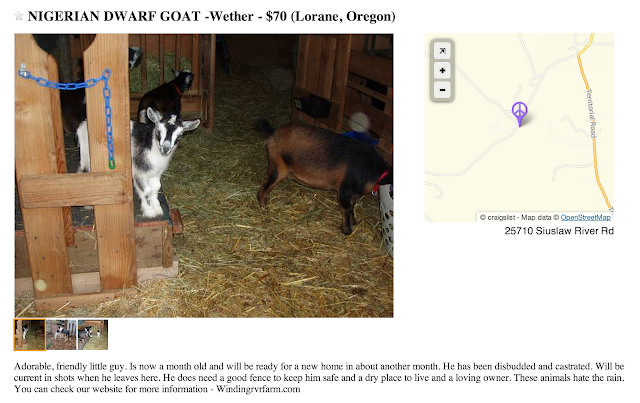 Lane County’s goat population is only 3716. Giving a goat to every one of UO’s 1900 bargaining unit members would severely deplete the breeding stock. It’s bad enough that “the well is dry”. 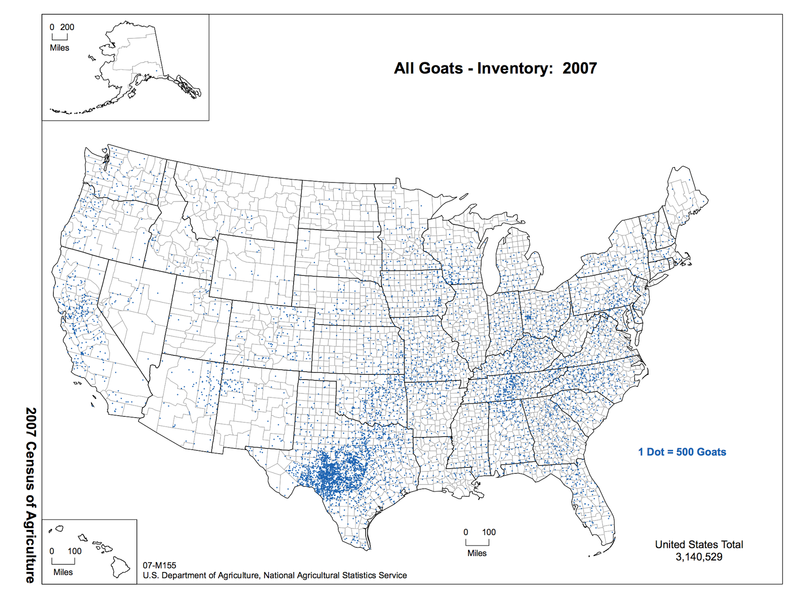 We can’t afford to let the goats go barren too. Word is that UO has hired a crack team of goat wranglers to bring a herd up from more fecund regions of Texas. Should be here by the end of the month, if the coyotes don’t get them. 10/29/13: You thought it was a little petty for the UO administration to buy off the faculty union with $350 in goat money? The Cleveland State law school decided to give the union organizers there $666 raises. The union has filed a compliant: “In effect Dean Boise has called AAUP’s organizers and AAUP Satan.” Dean Boise denies any satanic intent, blaming the number on division. No word on who got the missing 66 cents. The Volokh Conspiracy has the details. But not the retroactive 2012 and 2013 raises the faculty union negotiated. 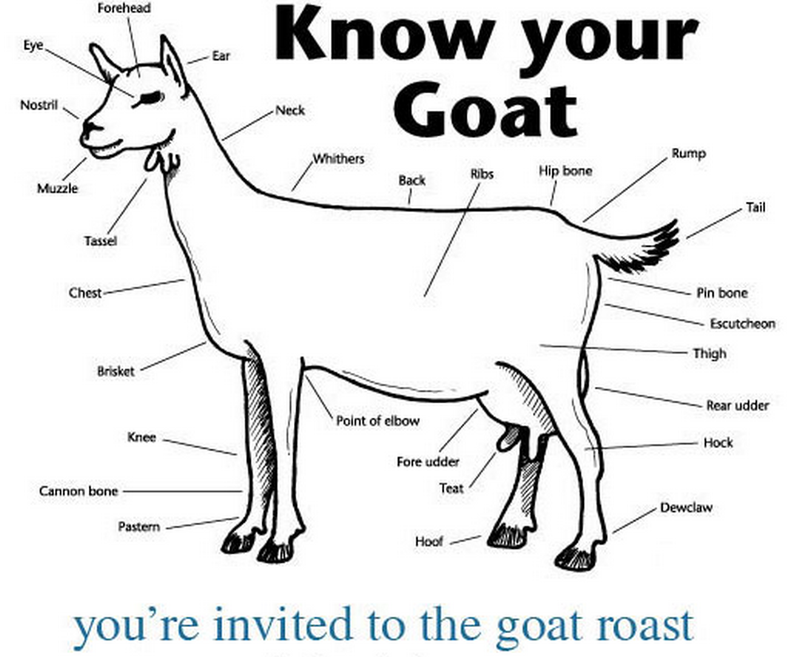 This just ain’t right, everyone deserves a goat! 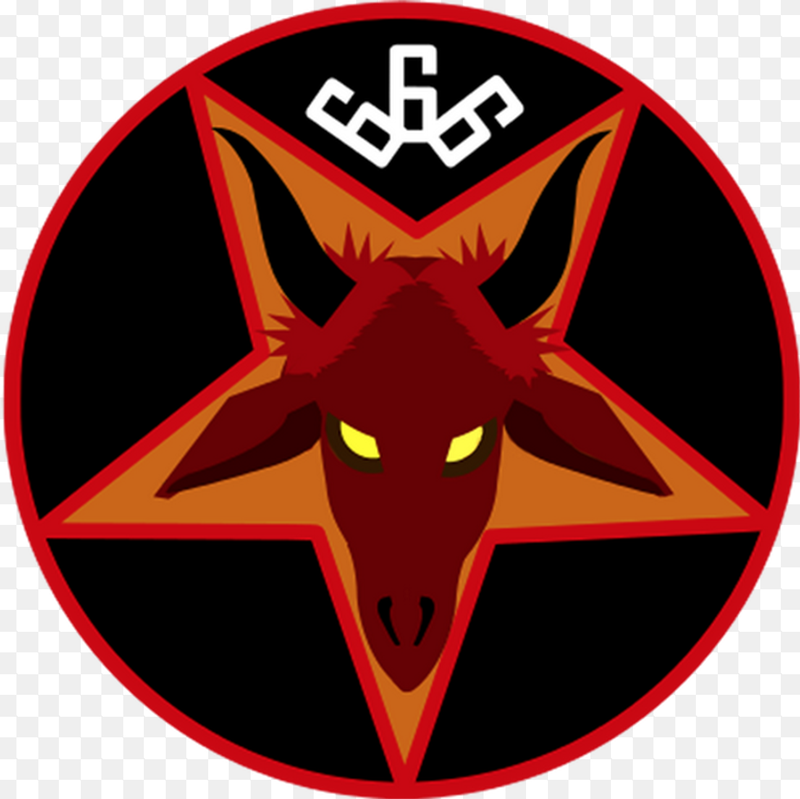 10/12/13 update: A reader points out that the OAs got the goat back in October, back when Gottfredson’s lawyers Randy Geller and Sharon Rudnick were claiming he couldn’t give the faculty raises during union bargaining. 10/10/13: UO has 1200 OAs. About 400 of them are supervisors who can’t unionize. Word is that many of the other 800 are interested in unionizing, perhaps by joining UAUO. Job security is apparently concern #1. Comments on this are welcome, but maybe best to do it from your cell phone or home, as a new rumor has it that Geller is monitoring staff and OA web access to UO Matters. The University of Oregon and United Academics reached a tentative agreement on a first-time collective bargaining agreement, which was ratified on Tuesday. In addition, University of Oregon classified employees recently negotiated compensation increases with OUS. These agreements provide for compensation and benefit increases for our faculty and classified staff through FY2015. It is important that we also recognize the hard work of over 1200 Officers of Administration, who provide invaluable support and are critical to the success of the university and our students. To that end, the University plans to implement the same base FY15 salary increase package for Officers of Administration that is planned for represented and unrepresented faculty (1.5% COLA and 3.5% merit pool). Also, beginning in July 2014, subject to approval by our new Board of Trustees, the university intends to implement two new benefits for all unrepresented faculty and Officers of Administration: new paid family leave program and reduced tuition for a second child enrolled in a UO undergraduate program. Today Jamie Moffitt, Vice President for Finance and Administration and CFO, will be joining a meeting with the OA Council to talk about the university’s commitment to all employees, including OAs. Thank you for all that you do at the University of Oregon. You represent the highest level of accomplishment and innovation in your field and are critical to our mission of advancing our status as one of our nation’s premier public research institutions. 10/2/2013: Updated announcement with links. I apologize but we do not have a budget or dues rate yet. Nothing nefarious, I’m traveling and the OC is busy with the contract and classes etc. Hard to arrange a meeting time to approve everything. I’d post the draft but I’m just one of many involved in this, so that would be presumptuous. Next Tuesday’s General Membership Meeting and Contract Ratification Vote are rapidly approaching! Please mark your calendars and make time to ratify our Tentative Agreement with the UO Administration. The contract ratification vote will continue until 9PM–ballots will be counted at the end of the meeting and results will be announced via email. The contract summary, the budget, and the dues proposal will be available at the meeting. Members do not have to stay for the entire meeting. You may come, vote, and leave at any time during the meeting. However, we encourage everyone to attend the entire presentation and participate in the discussion. 9/20/2013: Union to use Treetops for contract ratification meeting? That’s the rumor from the profs playing darts down at the Faculty Club tonight. Hard to think of a more appropriate location, really. 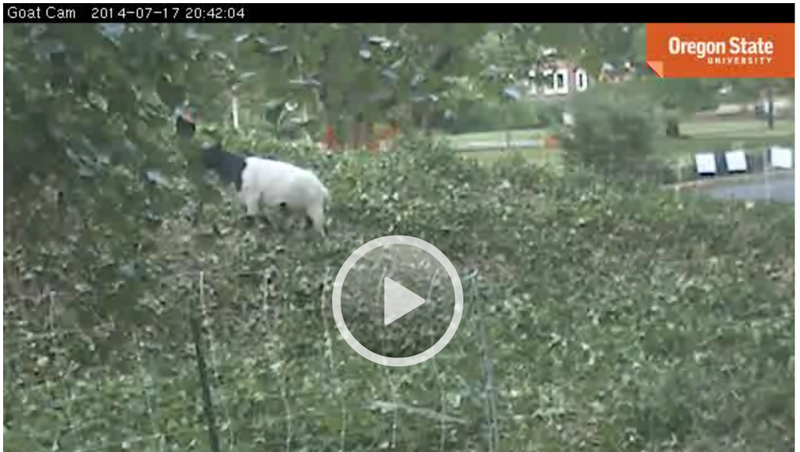 Pernsteiner was evicted a few months ago, and if the celebratory goat roast gets out of control – god forbid – the cops will have a hard time figuring out who’s the landlord and enforcing the Social Host Ordinance. Meeting is set for the evening of October 8, details later. Bargaining XLI: Union strikes deal with "The University"
These ~12% raises are substantial. About half will be in our paychecks when the contract is signed, the rest in July 2014. 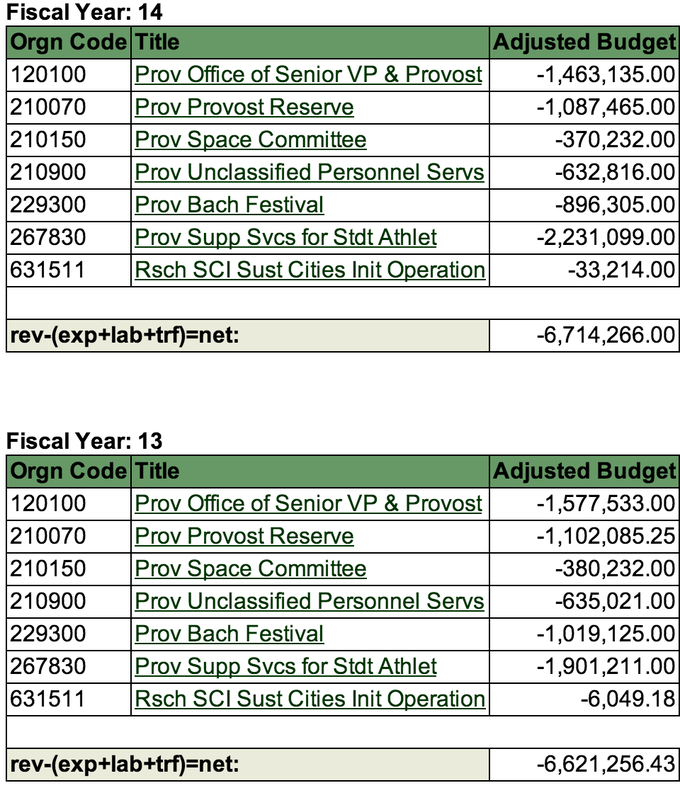 However these raises are not enough to get average UO salaries by rank and department to the levels of our comparators, as Lariviere intended to do by fall 2014. More on this later, but some info on what that will take is here. Obviously it is still the goal of the union to do this. Bargaining for the next contract’s raises, to start in summer 2015, will begin in January or so of 2015. The union argued for more merit and equity money (which can be used to reward faculty in more productive/competitive departments). Gottfredson’s team fought against this to the bitter end, and won a pyrrhic victory on this point. I suppose one possibility is that the administration would have given the faculty more money if we hadn’t unionized, but they are such bitter and petty people that instead they decided to punish us for our effrontery. If this is true, someone – not me – might argue unionization was a mistake. Another possibility is that getting UO faculty pay to our comparators is simply not “job #1” for President Gottfredson, who has many other priorities. His initial offer – 1.5% retroactive for 2/3 of year 0, then 1.5% ATB and 2% for merit in year 1 – was a sincere best offer reflecting those priorities. The union team got us that, plus a bit more than he wanted to pay in year 2, plus sabbatical and promotion raises, etc. And a goat. My view is that there’s more truth to the latter possibility. I’d remind everyone that getting these raises out of the administration took months of struggle and hard work by the faculty volunteers on the bargaining team, and the AAUP’s Mike Mauer and the AFT’s David Cecil. They did this in the face of determined resistance from the UO administration, including repeated refusals by VPFA Jamie Moffitt to provide basic data on UO’s financial picture and forecasts. President Gottfredson’s lawyer Randy Geller and Sharon Rudnick pulled a variety of cheap stunts, such as threatening to sabotage faculty consulting work, take away existing rights to intellectual property, and repeal the UO Senate’s free speech and academic freedom policies. I don’t think those tools are going to work for our administrators next time. Ratification vote scheduled for 10/8, details to come. 9/18/2013: Bargaining now, Wednesday, 10AM to ?, Room 101 Knight Library. Free Coffee. Thursday’s session was quite the party, bring your colleagues. 9/16/2013 update: The free speech fight between President Gottfredson and his faculty has gone global. Colleen Flaherty at Inside Higher Ed broke the story on Thursday, then CUNY’s Corey Robin posted his take on his blog and on the popular Crooked Timber (tagline: Out of the crooked timber of humanity, no straight thing was ever made). He included a call to faculty worldwide to write President Gottfredson about this nastiness, and from the emails I’ve seen, they certainly have. The pro academic freedom Foundation for Individual Rights in Education blogged about it here, and Betsy Hammond of the Oregonian has a related story here. The latest updates on the admins anti free speech and academic freedom proposals are here. The language our administrators can’t live with? The administration’s bizarre “open letter” accusing me of being anti-university is here. I don’t get a lot of visitors from Saudi Arabia, but I can understand why they’d be interested in this issue. Still nothing from North Korea though. Bargaining should be a family friendly event this time. President Gottfredson’s lead negotiator Sharon Rudnick just received a prestigious international award for her work defending Philip Morris and RJ Reynolds from frivolous lawsuits filed by the families of their deceased customers, and should be in a happier than usual frame of mind. By our count Rudnick hasn’t threatened or grabbed any faculty since the 8/29 session, though someone might want to get a fact-check on that from Barbara Altmann at Monday’s head’s retreat. 10:04: ~20 faculty so far. Free coffee and juice. Admin team includes Altmann, Blandy, Rudnick, Gleason and Grado. Waiting for the faculty side to come back for caucus. Art 14, appeals, admin counter. Rudnick didn’t bring enough copies for the crowd. Mauer: How about faculty nominate, provosts confirms? Rudnick: We’d need to caucus. Art 25, Termination w/o Cause, Admin counter. Rudnick: We’re willing to agree no declaration of exigency and terminations w/o cause, because Jamie is so flush with liquid reserves. The well is full. Lots of coffee over there too folks, have some courtesy of UO Matters. Rudnick: The last termination of an NTTF was 1991, and there has apparently never been a termination of a tenured professor, though that Harbaugh guy is pushing the line. Art 7, union counter on Academic Freedom, Free Speech. Mauer: We didn’t expect the administration to have such a problem with free speech. We appreciate that you finally backed off last week, after getting shredded in the press. ~40 faculty sitting here on the group W bench, having a great time talking about our special crimes. Mauer: Counter on Art 14, Appeal of tenure or promotion. We “At least one of the members shall be appointed from a list of nominees …” Rudnick: List of 3? Mauer: more than 1. Rudnick: 2.5. Mauer: at least 2. Rudnick: Deal. Art 25, Termination w/o cause, union counter. Mauer: Appreciate pledge not to declare financial exigency, want protections for other reasons for terminations. Adequate notice, demonstrable financial need, “legitimate academic need”. Cecil: We may wrap up bargaining today. For us, moving forward is difficult given what’s happening at AEI. 3-4 colleagues are not being renewed for reasons we don’t understand. We want to let you know that why we are probably going to move off the Art 9 protections, but we hope we can find a way to bring these problems up in the future. If we can’t get you to agree with us on this, we at least hope that can get you to understand this issue. One of the AEI members moved to Eugene 5 years ago, got cancer, and is now being let go. Rudnick: We hear you, we have met with AEI and we will continue to work with you on these issues. We have agreed to your language requiring explanations for terminations, and we will implement this for these terminations as a matter of professional respect. 12:11. Lunch break til 1:30. 1:41, the admins are back. Rudnick: Art 25, somthing about NTTF extensions to one-year, Geller’s Ok with it. 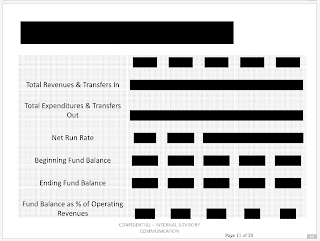 Mauer: On overhead transparency, you have our proposal, counter? Rudnick: We have heard the concerns about Kimberly Espy, we will facilitate a meeting with her, the union, and appropriate faculty. Rudnick: How about “shall have 3 year contracts”? Mauer: OK. Rudnick, we’ll need to caucus at next break. Art 49, computers and information assets, union counter. Mauer: 2.c. Admin must notify union if they take away email or network access. Sec 7: Sticking point was “reasonable expectation of privacy” words which Geller gagged on. This language creates this expectation, without making Geller cry. Requires admins to notify union in a timely manner if they start snooping around. 1:56 Rudnick to Gleason: “Are you OK Tim?” Caucus break so the admins can check. 2:10: They’re back, OK with the Art 9 contracts. MAUER: We have a 3 part package. 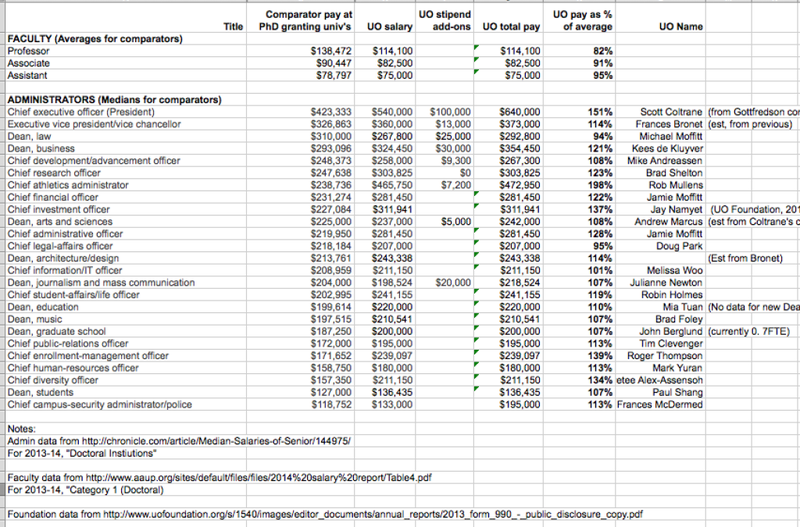 On the money, faculty are shamefully underpaid relative to peers, UO has the funds to fix this. But we recognize you have moved, acknowledged that UO has problems. It’s not enough, but you have made movement from your initial 5.5% take it or leave it to ~12%. So, we could accept your last proposal, IF: You stop over-reaching on the IP. We want you to sign a formal MOU on this, establishing a committee and maintaining the status quo in the meantime. On consulting, you guys are insane. We propose you drop the whole thing and go back to the current Senate policy. Deal? 2:17 PM. Rudnick: We’re going to caucus. 2:30 They’re back, Rudnick takes the deal, says Gottfredson will too. The rest of UO’s full professors are currently at 82% of the AAU public average. His latest salary proposal included a modest increase in the post-review raises for full professors How modest? Here’s the bottom line: Gleason’s $350 goat bonuses will deliver about $420,000 in new money to the faculty. In comparison, over the two year contract, the post-review raises are worth about $147,000 – barely enough to buy 1/3 of a goat. The full roll out of the post-review raises will take 7 years, at which point they will still only cost about 1/3 of the Jock Box subsidies. The details: Assume there are 240 UO full professors in the union and that this is a steady-state. Under the current and new plans, 1/6 of them come up for a sixth year post-tenure review every year. That’s 40 per year. Assume these reviews are 6 years after promotion, or 18 years into a 30 year career, so that they will receive their post-review raises for 12 more years. 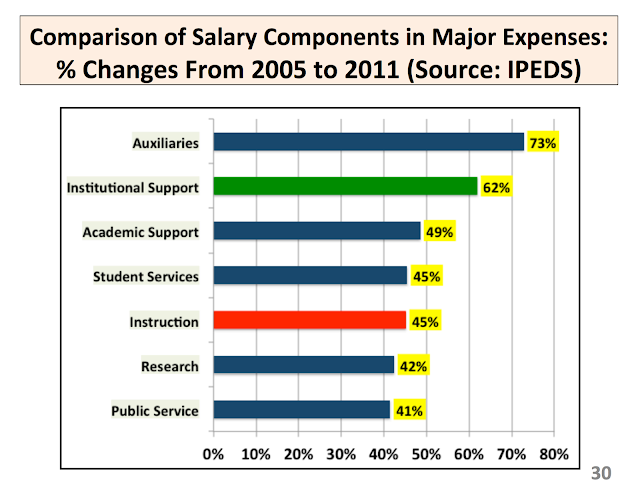 This means that in any given year 2/3 of the full professors, or 180, are receiving these raises. 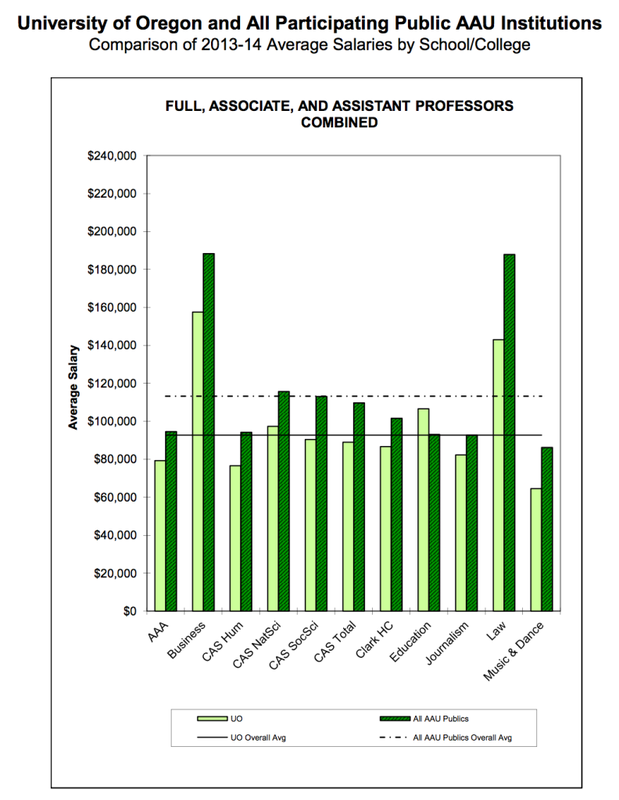 Assume that 3/4 of the full professors reviewed merit the highest raise. Under current policy this is worth $4,000, the rest get a $2,000 raise. The total steady-state cost in salary to UO of this policy is therefore =0.75*4000*180+0.25*2000*180 or $630,000 a year. So, in steady-state, the incremental salary in this offer is $882,000 per year, about the same as a 1.5% average raise for all TTF’s. But here’s the kicker: These new pay increases do not take effect until after the review, or year two of the contract. And after that there is a 6 year phase in, as full professors come up for their reviews. So the incremental salary from this policy, for the 2 years of this contract, is $0 + $882,000/6, or $147,000. On the other hand there’s the $350 goat signing bonus: This is prorated by FTE. Assume there are 1200 FTE equivalents in the faculty union. $350*1200 = $420,000. These post-review calculations ignore the compounding effect of later wages, and their effect on the post-tenure raises, but given the compression at UO this is a small effect for now. And for that matter, if you go in with colleagues and buy 2 goats you get milk every year, and a much more rapid compounding growth effect too, so long as you get a billy and a nan. My efforts to mock this serious proposal from UO’s administrative bargaining team were disrespectful of their tireless and selfless efforts on behalf of their UO faculty, and I would like to extend a personal …. Nope, sorry, I can’t do it Tim.